Hong Kong’s fraught, tense relationship with mainland China came to a head in 2014’s Umbrella Movement. Vivid, moving portraits of selected students who camped out on the streets and organized a temporary, alternative, communitarian Hong Kong animate this fly-on-the-wall documentary. Richly detailed, engrossing and dramatic, it captures the sights, sounds and feelings of a time when tens of thousands of Hong Kong citizens–energized idealistic youth–defied their government and demanded democracy. After obtaining a degree in Policy Studies, Chan Tze-woon pursued Master of Fine Arts: Film production in Baptist University of Hong Kong. His first two works, “The Aqueous Truth” (2013) and “Being Rain: Representation and Will” (2014), play with a conspiring plot and mockumentary form in portraying Hong Kong’s political climate. 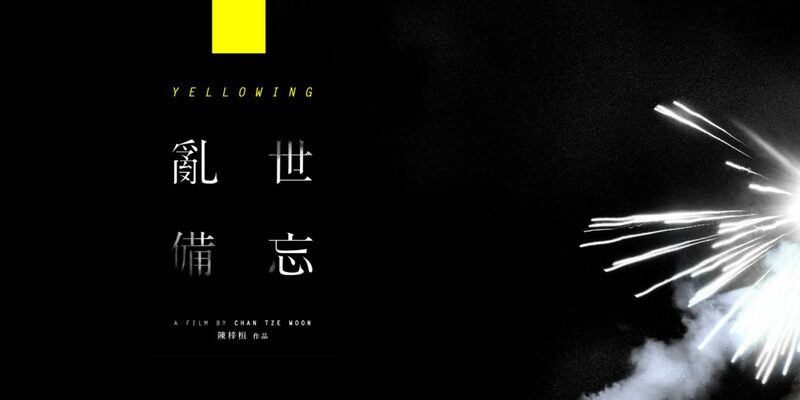 His latest work Yellowing (2016) made its overseas debut at the Vancouver International Film Festival this year. The film was also just nominated this past week in the Best Documentary category at the Golden Horse Awards, which is known as the Taiwanese Oscars.